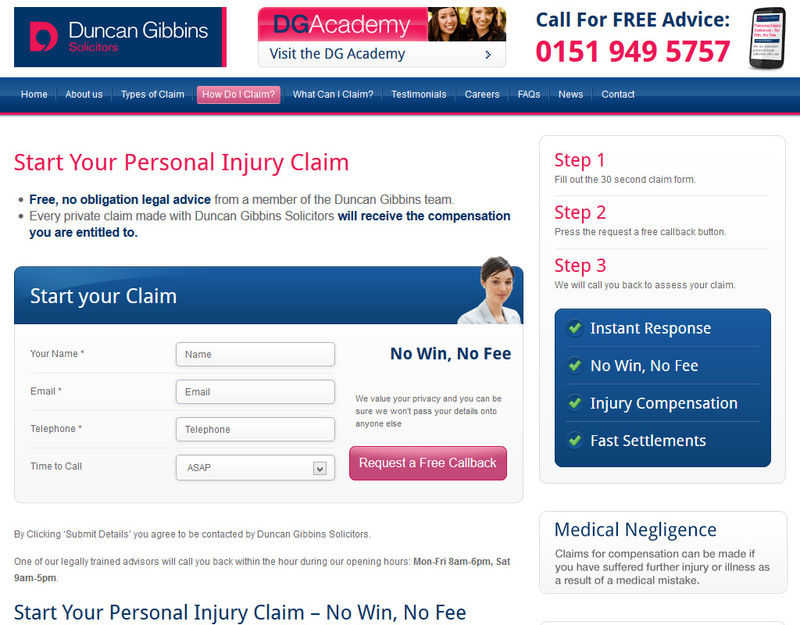 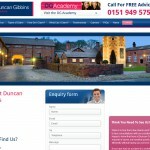 During my time working for a Liverpool based Web Design Firm I was given the opportunity to design and develop a Personal Injury Solicitors website for Duncan Gibbins. 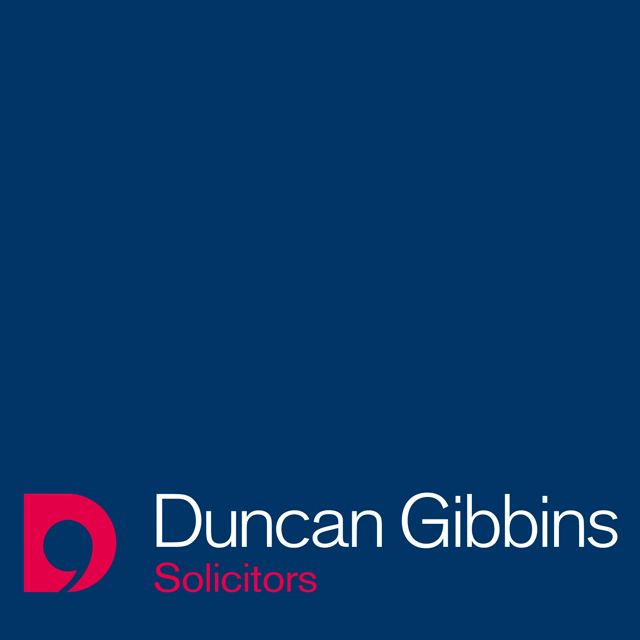 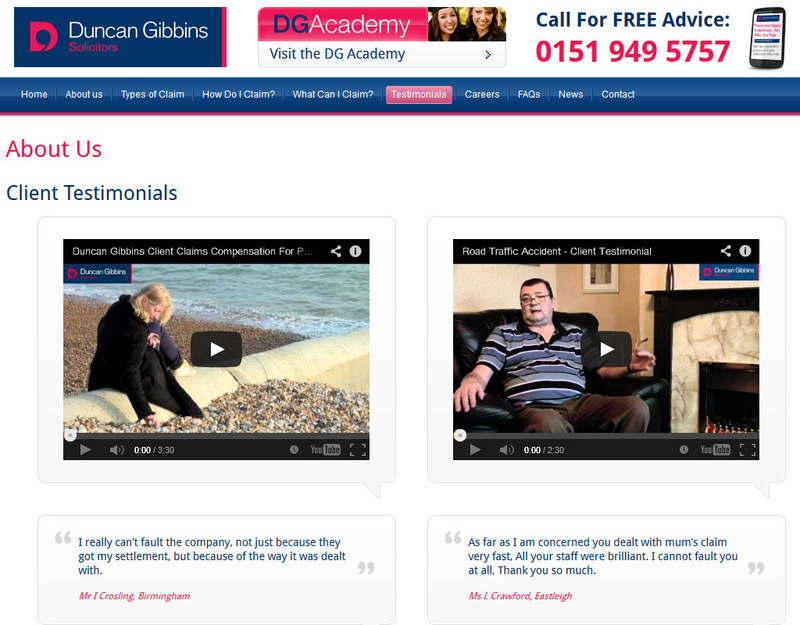 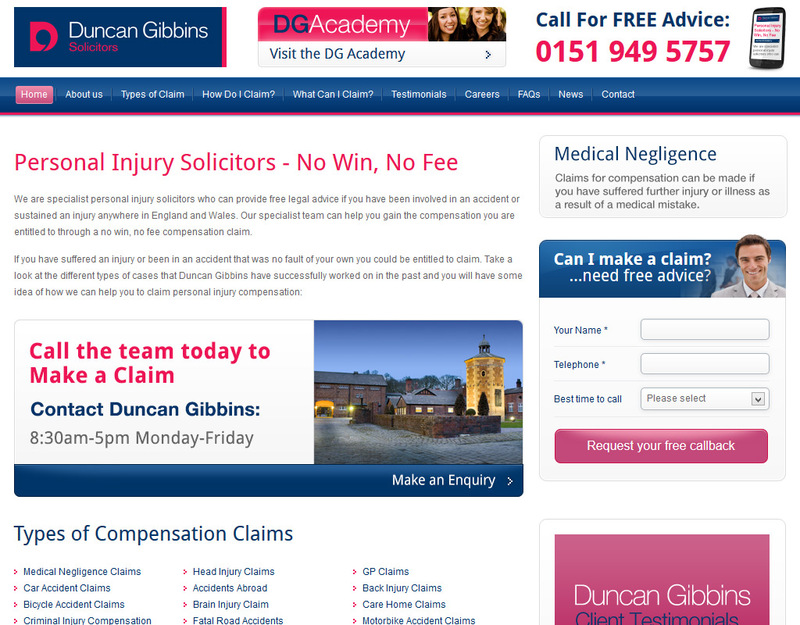 The Duncan Gibbins website was designed and developed to target people with recent Personal Injury Compensation Claims through Medical Negligence, NHS Complaints, Cosmetic Surgery, RTA’s. 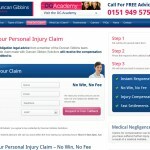 The focus was to provide free legal advice for the general public that had been involved in an accident or sustained an injury in England and Wales. 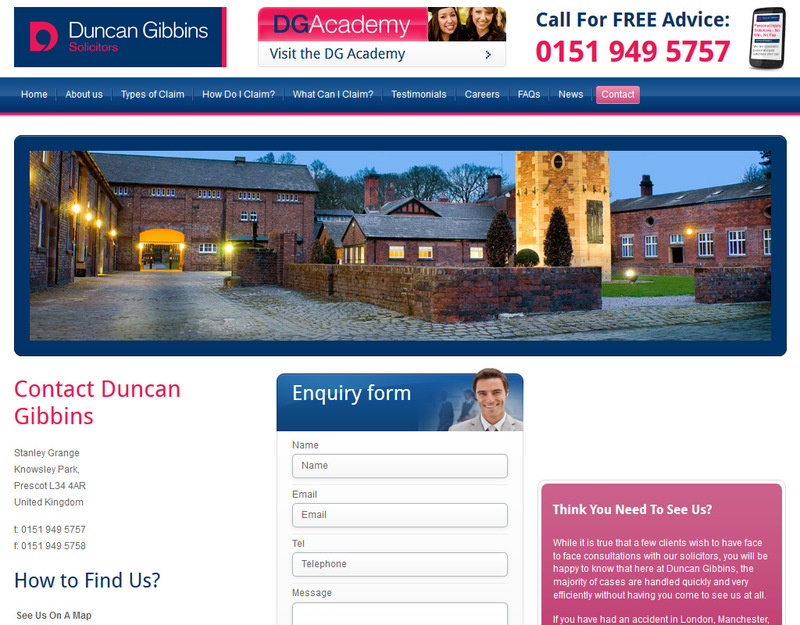 A full Marketing Campaign was set in place with Social Media, Live Chat, Email Marketing, Sponsorship Deals with local firms and a rugby star, data gathering via Google Analytics, AdWords, Email Marketing and Telephone Calls was all put in place and integrated into the in-house CRM Duncan Gibbins had in place. 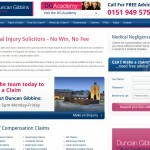 The Duncan Gibbins Personal Injury Solicitors website was created in 2012, have a look at the images to see the work that I Designed and Developed.